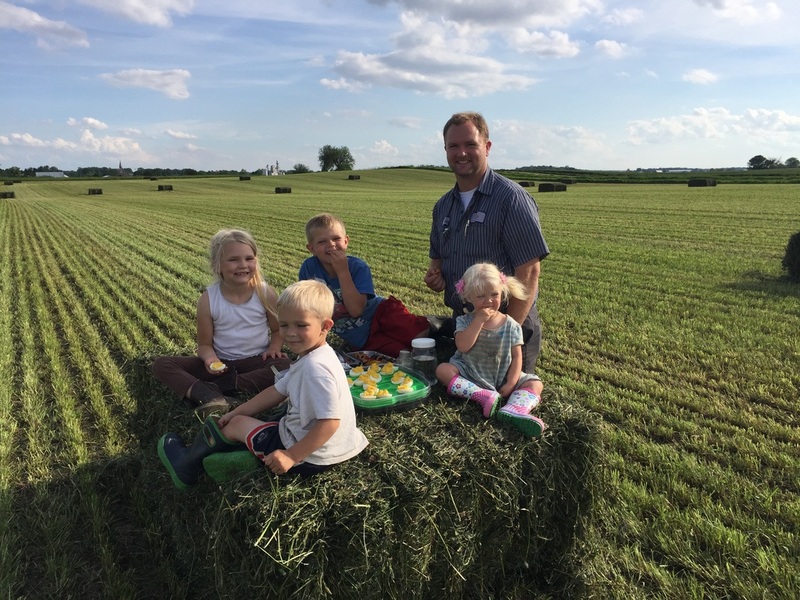 We are a family owned and operated sustainable farm that specializes in grass fed and pasture based heritage breed; milk, beef, pork, turkey, chicken, and eggs. We also sell lamb, goat, rabbit, and other specialty animals through our small but expanding network of family farms. Our goal is to raise quality healthy meats while improving the land that God entrusted to us, while spreading God's love and good word. Without God and Family at the forefront, and the goal of sustainability in mind, our small farm will become a thing of the past like so many others have already become. Life on the farm starts with the smallest of all the creatures, microbes. They are the essential part of the farm life that is the most often overlooked by farmers throughout the world. Without microbial life in the soil our farm cannot be sustainable. Everything starts at the cellular level and works its way up the chain. There should never be a need for chemical fertilizers, herbicides, and pesticides if the soil is properly cared for. Weeds and bugs tell us all we need to know about the soil, each one has a story to tell and as long as we listen we should be able to balance the soil, which in turn gives nutrition and life to the rest of the farm. Our desire is to enrich the lives of our customers through food and knowledge. The philosophy that we live by is also the one that we farm by, 'the pursuit of real Truth'. In pursuit of real truth, we have decided to model our farm on nature. Nature holds the key that unlocks the mystery of how to grow the best and most natural food that compliments our bodies. Farming this way also improves the soil and the ecology of the land we farm and the land around it.